Value trade and board control, until you have huge guards set up in both lanes. Against aggro (especially Prophecy Battlemage), trade as much as possible with Wind Keep Spellsword and Dark Guardian. Deal with creature first then set up Crafter. Tempo Crafter might get Lightning Bolted. You win if you successfully set up either Word Wall + Drain Vitality, Crafter + Big Guards, or Giant Bat + Soul Tear loop. For mirror match, eliminate their Crafter as soon as possible. Try to gain as much value from Drain Vitality as possible, but focus Word Wall on Soul Tears. Use Enchanted Plate for free trades and Stonehill Mammoth for card advantage in the long run. I'm against hitting face aggresively because things get out of hand if they find the combos before you do. In all of my wins against mirror, I always dried their hand while having big creatures on board. 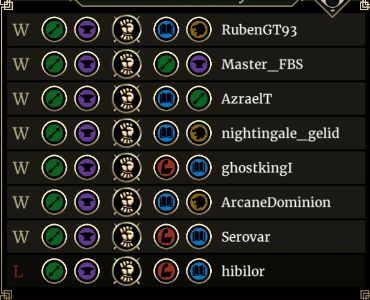 For other decks, play the long game and try to gain value from Crafter. Remember to try to upgrade Drain Vitality first when against Yellows. Hit face with Dark Guardian on board since people tend to include many prophecies in Pauper decks. Options: Switch the Mummy for Gristlehide Dreugh if you want, which combos with Crafter and is great against tokens and. I personally prefer some prophecies, saved me many times. Update: Since the number of Crafter scouts increased a lot in the Rumble. Switch Mentor of the Watch with Sanctuary pet for removal against Gristlehide Dreugh and Ironscale Dragons. * After all four runs I finished at rank 10 on the leaderboard with this deck. Don't think it would last tho because the first run I was using another deck and didn't do well. Incredible deck indeed, lost a couple of times because I couldn't find Crafter or shouts. In that case you need to try your best to stall your opponent. Try to force unfavorable trades etc. But if your hand is filled with Mammoth/Cave Bear without a crafter on board I agree it can be hard. That's the reason I included Mentor of the Watch in the original version but it's subpar against mirror. LOL. What is the deck you're using that beats against this deck 4-1? Nice deck, 2-3 3 times in a row. Apparently, I'm not allowed to win more than 2 games. Glad it worked for you tho! Well some people do find it not boring if they are constantly winning. Well I couldn't claim that I created it. 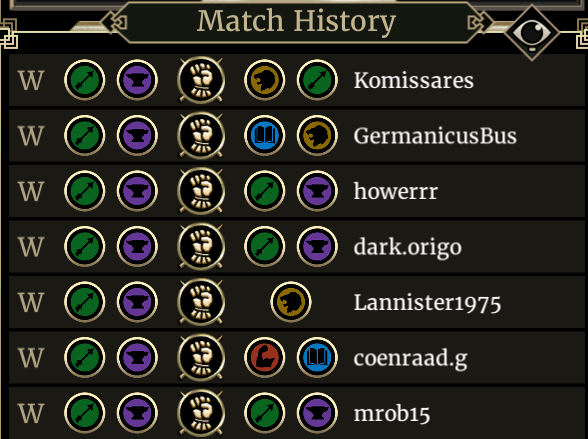 I think people tend to end up with similar decks with the limited options they have. For example, I saw Matt playing a similar deck on stream, the only difference is he's not running prophecy.